R.W. Stephenson was born in 1879, in Bloomington Illinois. After attending Park College in Des Moines Iowa, and Iowa State College in Ames, he taught school for many years in Alberta, Canada. In 1920, he matriculated at Palmer Chiropractic College and graduated in July 1921. Upon graduation, he accepted a position as a philosophy instructor. In 1922, he drew all of the illustrations for Craven’s greenbook; Chiropractic Orthopedy. Craven and B.J. Palmer were Stephenson’s mentors. In 1925, he became the head of the technique department and the clinic. 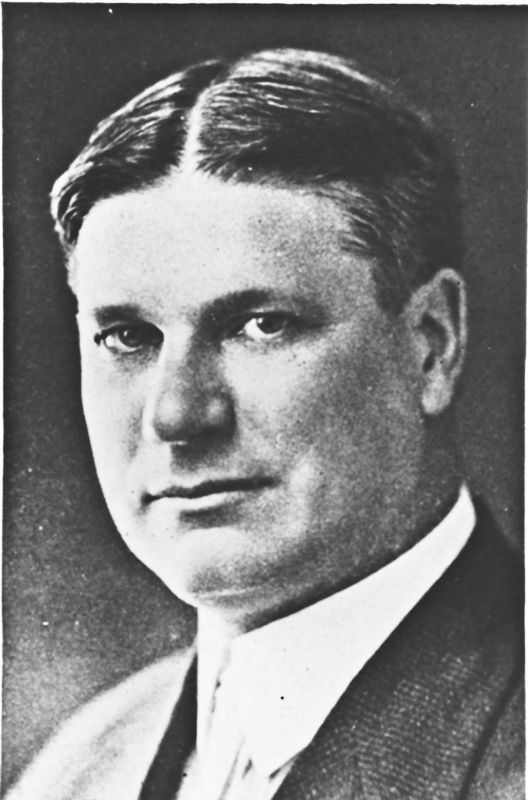 In 1927, Stephenson published two books: The Chiropractic Textbook and The Art of Chiropractic. In 1929, he moved to California and took up violin making. He rejoined the Palmer faculty in 1935. Stephenson dies in 1936. Stephenson’s Chiropractic Textbook has become a classic in the field of chiropractic theory and chiropractic philosophy. The book is a summation of the Palmer philosophy and breaks new ground in several areas including his iconic 33 principles and his vertemere cycle. Stephenson’s text is still studied by chiropractors who seek to understand chiropractic’s original paradigm. It was not known before 2017, that Stephenson drew his own illustrations as well as those in Craven’s text. The discovery of Stephenson’s Chiropractic Chart is a breakthrough in chiropractic history. 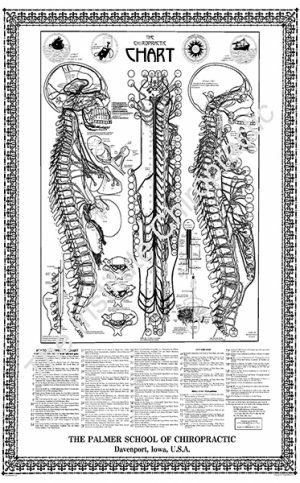 The Chiropractic Chart may be the first such poster designed for the chiropractic office to educate patients on the relationships between the spinal structures, neurophysiology, and physiology. It is a classic picture and was painstakingly redrawn and reproduced to be as true to the original as possible. No copies of the original posters are known to exist except for very small advertisements published in 1926.